Chamaecyparis thyoides 'Variegata' is an irregular upright-growing selection of Atlantic white-cedar with loose, randomly arranged, thin branches holding delicate gray-green fans of foliage splashed with golden variegation. As plants grow older, the branching will become denser, resulting in an attractive, albeit unusual bushy conifer in the landscape. After 10 years of growth, a mature specimen will measure 3 to 4.5 feet (1 - 1.5 m) tall and 2 feet (60 cm) wide, an annual growth rate of 4 to 5 inches (20 - 22.5 cm). 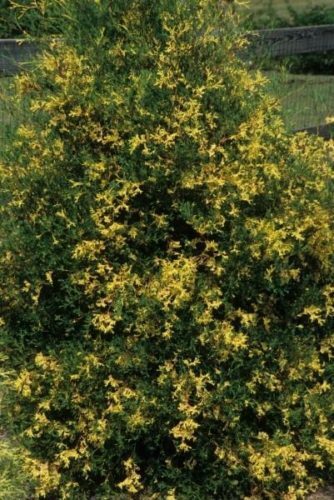 It performs best planted in full sun or part shade and is very tolerant of wet soil. Variegated Atlantic white-cedar is a very old cultivar, known in the nursery trade since the early 1800s. It is thought to have originated in Ireland in the early 1830s and formally described in 1884 by French Botanist Élie-Abel Carrière (1818-1896). On occasion, one will find this plant listed under the name, Chamaecyparis thyoides 'Variegated' which is nothing more than an English translation of 'Variegata.' 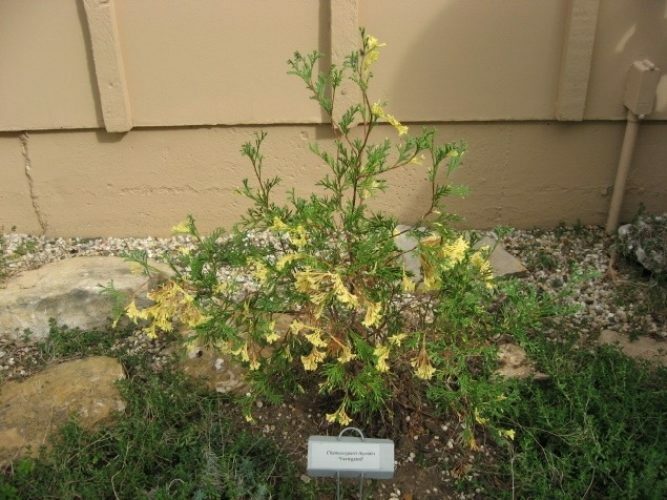 Given the fact that this plant was named in the 1800s, use of an English epithet isn't allowed under the rules detailed by the International Code of Botanical Nomenclature. Chamaecyparis thyoides 'Variegata' in a private garden in Kansas, October 2006. Chamaecyparis thyoides 'Variegata' — a mature specimen in a famous commercial nursery's display garden in North Carolina.